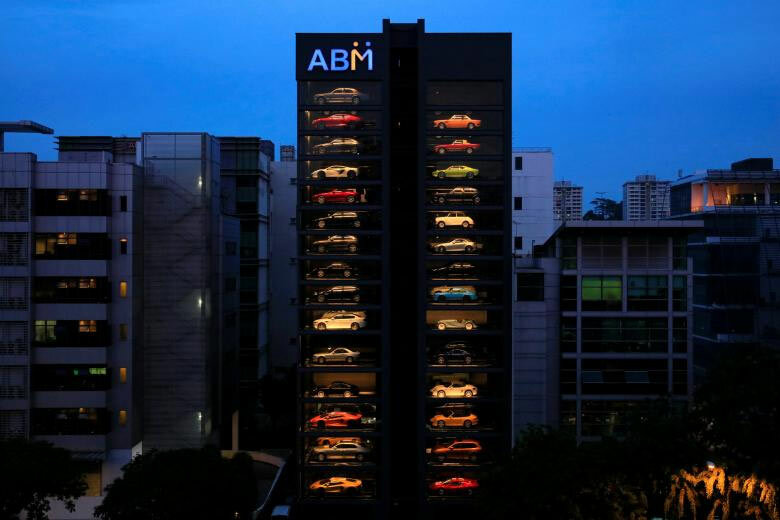 Autobahn Motors is an exotic car dealer in Singapore that has the coolest delivery method ever. The multistory dealership is basically a giant vending machine that dispenses Ferraris, Lamborghinis and other spendy cars. There are even some classic cars in there like a Morgan or two. You can also buy luxury cars like a Bentley there. The dealership is 15-stories tall and opened in December. There are spots for 60 different cars and on the ground floor is a touchscreen that the shoppers can use to bring the car they want to see to the ground. I would definitely stand there hoping a car slips out of the slot during an earthquake.